After four years, Pinterest is taking its first serious steps towards monetization [Update: as its traffic moves from the web to mobile]. CEO Ben Silbermann today told users “we’re going to start experimenting with promoting certain pins” because “it’s so important that Pinterest is a service that will be here to stay.” The announcement signals a shift from web growth to mobile growth and business for Pinterest. The initial tests of ads will be in search results and categories feeds. For example, when you search for Halloween, you might see a costume on sale at a local shop that had pinned the outfit. The format follows in the footsteps of other social advertising successes like Facebook and Twitter. Both similarly let businesses amplify the reach of their organic content by paying for “promotion”. Pinterest was founded in 2009 to let people collect and share links and photos of things they love. 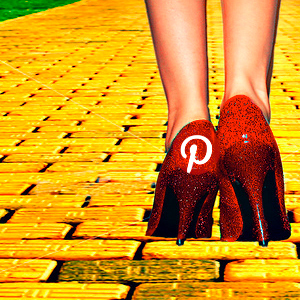 For a detailed analysis of its history, check out our piece “The Pinterest Roadmap Revealed”. It explains how Pinterest hit a rapid growth period in 2011 causing significant scaling challenges. In 2012 it focused on mobile, and 2013 has been about adding value to pins in the form of context, purchase links, and related content. In 2011 and 2012 Pinterest worked with analytics company SkimLinks to track traffic it was driving to ecommerce sites and earn small referral fees. Despite rumors it was earning significant revenue from the partnership, we heard the income was relatively small. Pinterest stopped working SkimLinks awhile back, lending credence to the idea that referral fees weren’t enough to support the company long-term. That’s why Pinterest has had to raise $338 million in total funding, with its latest $200 million Series D led by Valiant Capital Partners, and joined by Andreessen Horowitz, Bessemer Venture Partners, and FirstMark Capital. That capital has helped it scale its team, product, and engineering to accommodate the sizable user base it’s amassed. comScore pegs Pinterest.com at 46.9 million monthly unique visitors worldwide as of July, down from a high of 54.2 million in April. The analytics firm says Pinterest.com had 3.8 million average daily visitors in July. Its users skew significantly female compared to the rest of the web. They’re somewhat centered in the 15-34 years old demographic, but Pinterest is relatively balanced across ages. 60% of its traffic comes from the United States with 25.6 million monthly US uniques in August down from 29.4 million April, while 20% comes from Europe, and 10% comes from Asia Pacific. Fellow analytics service Compete places Pinterest’s US monthly unique visitors at 29.6 million, down from 32.2 million in May, mirroring comScore’s signals that Pinterest’s web traffic is fading. Quantcast’s numbers look a bit more erratic, but also show a drop from April and May to now. Note that it’s not clear what Pinterest’s mobile user count is, though it has between 10 million and 50 million installs on Android according to Google Play. Users may simply be shifting the way they access the service. Though Pinterest isn’t nearly as large as Facebook or Twitter, the referral traffic it drives is lauded for its ability to inspire purchases. Now it’s time to use that reputation to seduce ad buys from brands and small businesses. Pinterest is working with a select group of brands to pilot its ads experiment, and at first they won’t pay for the promotion. Pinterest wants to make sure the ads work well first and deliver value to advertisers without disturbing users. Along with building out a sales team, Pinterest will need to do exhaustive analysis to find the right balance of ads and organic content that earns revenue but doesn’t scare users away. Expect it to err on the conservative side at first. It will also need to learn to measure return on investment for its advertisers by determining which ad views and clicks lead to purchases. If it follows the Facebook and Twitter playbook, Pinterest will first hold the hands of big advertisers as they run experimental campaigns. It would then enlarge the private test of managed sales advertising to encompass more brands. Next it would look to create a self-serve tool open to all businesses wishing to advertise. Meanwhile it would set up an ads API that would let big brands and developers build tools for running huge, efficient ad campaigns efficiently. Pinterest is one of many Silicon Valley startups hoping to gain traction first and figure out monetization later. Most never achieve the former and fold before they get to the latter. But Pinterest found a place in the hearts, bookmarks, and home screens of many by translating our collecting and nesting instincts to the digital world. You might never be able to afford that dress, that car, or that vacation home, but there’s satisfaction in simply saying “this defines me”. Now it just needs to convince advertisers of the value of a spot in our homes of 1s and 0s.